A lifestyle blog about Makeup, Books, Fashion and Shopping. 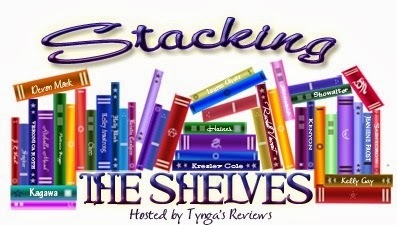 I love Tynga's Reviews Stacking the Shelves so I borrowed it for my blog. I hit up my favorite used bookstores recently and hit the jackpot. I was able to get four books from my wishlist. First I picked up Chocolate-Covered-Murder by Leslie Meier. I love this mystery series and have been reading it for awhile. I really need to catch up. I also was able to get Fallen-Masters by John Edward. Yes that John Edward the TV psychic. I usually don't read much science fiction but this intrigued me. 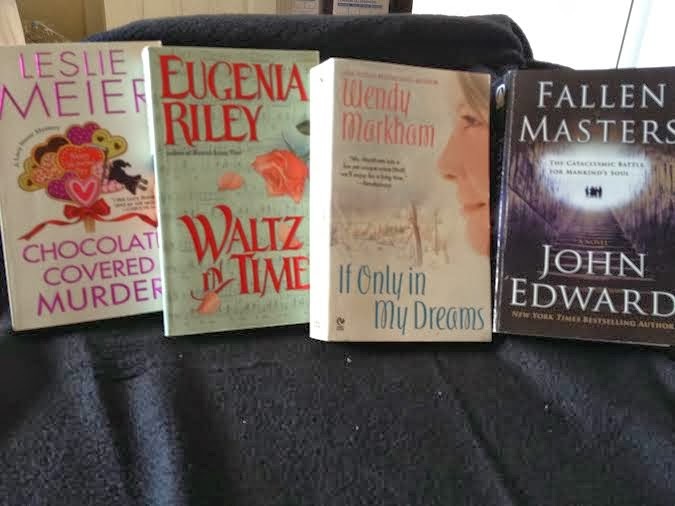 Next I picked up Waltz-Time by Eugenia Riley and If-Only-Dreams by Wendy Markham aka Wendy Corsi Staub. These two are both time travel romances which are a favorite genre of mine. I'll let you know how they are. Cindy has read 1 book toward her goal of 45 books.